Although this statement is tempered to our feeble comprehension, it is not said falsely. For God, who is the highest righteousness, cannot love the unrighteousness that he sees in us all. All of us, therefore, have in ourselves something deserving of God’s hatred. With regard to our corrupt nature and the wicked life that follows it, all of us surely displease God, are guilty in his sight, and are born to the damnation of hell. But because the Lord wills not to lose what is his in us, out of his own kindness he still finds something to love. However much we may be sinners by our own fault, we nevertheless remain his creatures. However much we have brought death upon ourselves, yet he has created us unto life. Thus he is moved by pure and freely given love of us to receive us into grace. Since there is a perpetual and irreconcilable disagreement between righteousness and unrighteousness, so long as we remain sinners he cannot receive us completely. Man, that is just powerful, rich goodness huh? That’s Eph. 1 and the basis of unconditional election: that through no merit or value of our own, God set His love upon us sinners in Christ who were worthy of His just wrath. Still can’t get my head around it but i cling to it like a pitbull. Thanks for this. There are passages like this in the Institutes where he just kills it like that. Of course, he was learning from Augustine, the master, so it’s not that unexpected. The McNeill/Battles two volume edition is the new standard. Thank you for the suggestion. I will continue to look into that translation. In the meantime, have you had any experience with the translation linked below? Ya, that was the old standard before the Battles. If you’re worried about difficult old language, I’d probably skip it and move to the Battles. Also, the translation isn’t quite as good. Calvin scholarship moved on since that point. 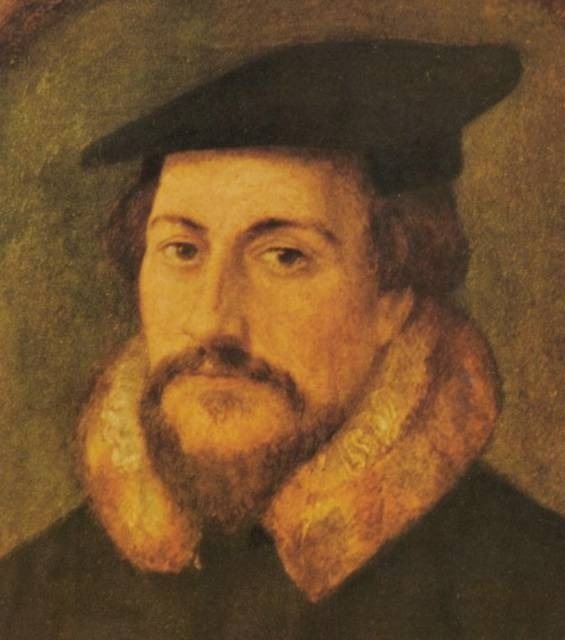 Pingback: Calvin’s Multi-Faceted Atonement | Do You Really Believe?